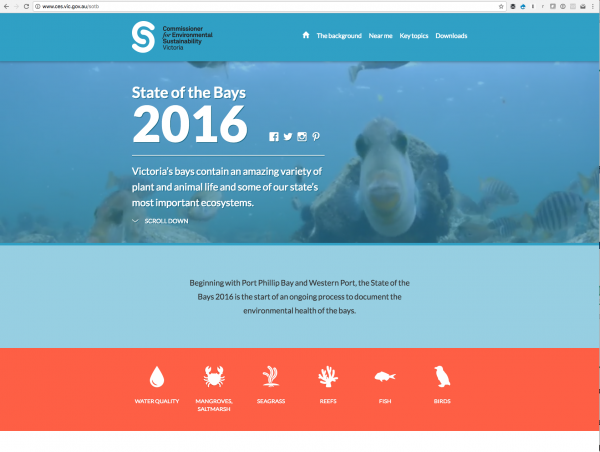 In 2016 we developed the site to launch the Commissioner for Environmental Sustainability’s State of the Bays Report. It’s one of the first to be launched digitally rather than in print – an environmentally responsible strategy. 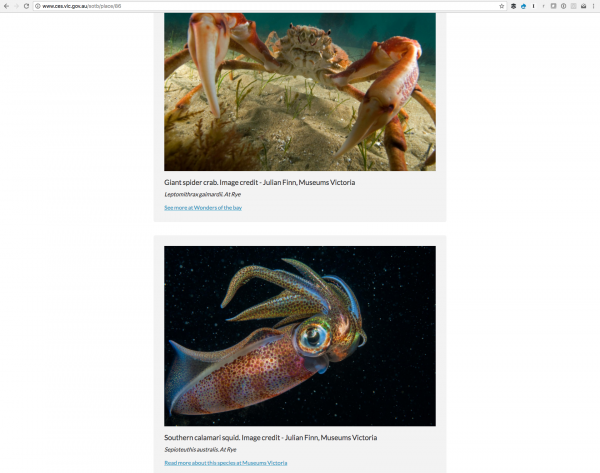 The site’s content is a plain English version of the scientific report supported by vivid imagery supplied by Museum Victoria and video snippets of the bays’ flora and fauna from live underwater camera feeds. The scientific report and summary report are available as a pdf download. The site is WCAG 2.0 AA compliant meaning it is accessible to people with varying degrees of visual impairment. The report was launched by the Minister on 11 Dec. The site successfully went live just after midnight on the 11th. 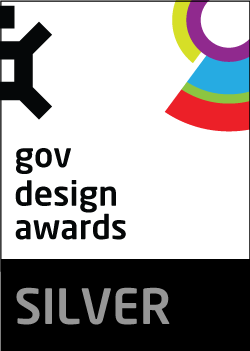 Weave Web – A small, but perfectly formed team, who combine a content focus with digital strategy, design and development skill. The Office of the Commissioner for Environmental Sustainability. 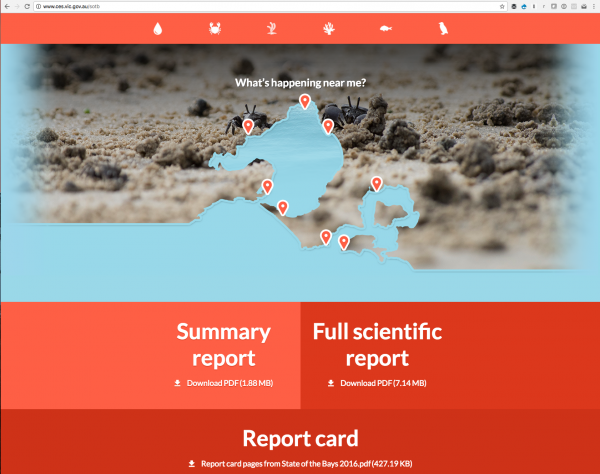 The brief for the site was to publish the 2016 State of the Bays report online. 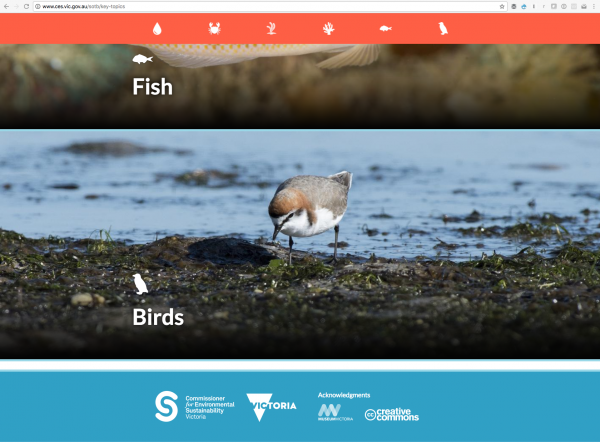 The report was also to reach a wider non-scientific audience including teachers and children; people interested in specific locations in Port Phillip Bay and Western Port; and those interested in particular species. The report itself is a scientific report written for environmental scientists and others in the scientific community. The plain English version of the report, while easier to understand than the scientific report, needed to be supported by imagery to tell the story and structured to best advantage to engage these audiences. 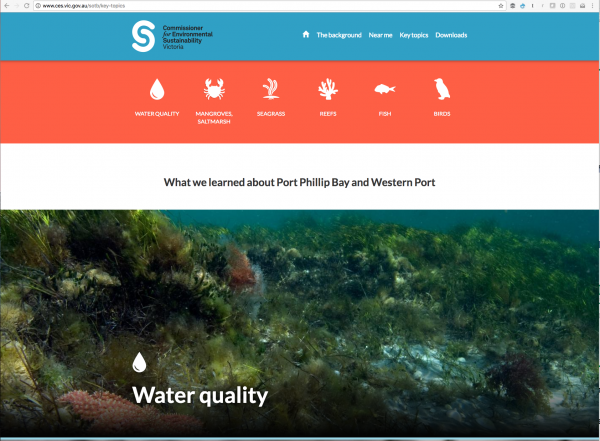 The client partnered with Museums Victoria to surface some of their spectacular imagery of the flora and fauna of Port Phillip Bay and Western Port. Some of these images had never been published. 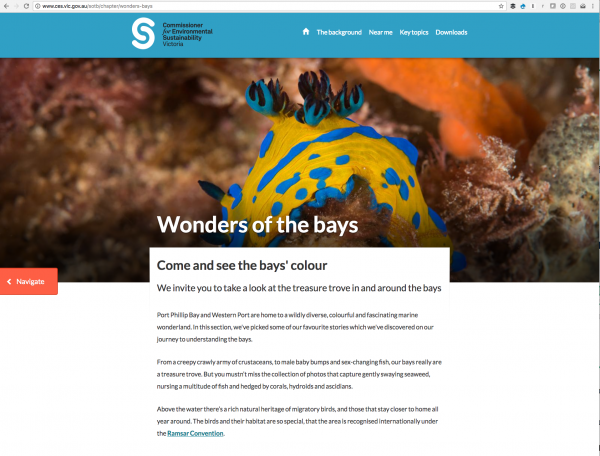 From colourful Nudibranches (sea slugs) to giant spider crab migrations the site is a wonderful place to wander through Victoria's bays and learn about them at the same time. There where also live video feeds available from a variety of sources. These were made into video loops and adorn the main site pages. It was clear that this site had to be a visual delight as well as offer up plenty of useful information. The content of the site has been 'sliced and diced' to cater to different needs. A visitor may be guided through the report information, they may choose to become more informed about the history of the Bay or simply go directly to what's happening near them. As our main audiences were teachers and children we have sought feedback from schools and the results are excellent. This site is seen as a teaching resource. The site and scientific report were launched at a press briefing on 10 December 2016 by the Minister. We also provided social media strategy advice. Ongoing marketing is through social media namely Facebook, Twitter and Instagram.